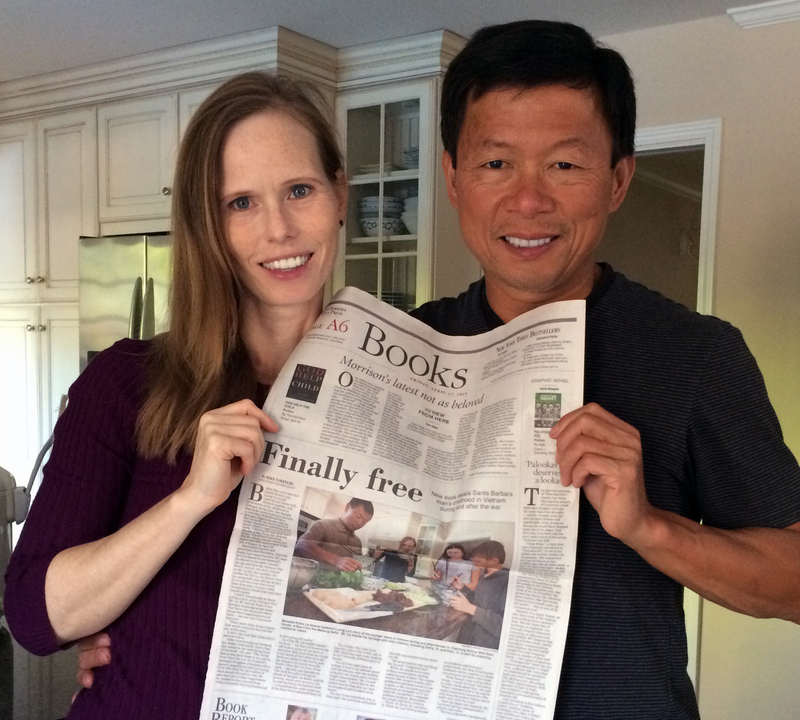 The Santa Barbara News-Press Books section featured Catching Shrimp with Bare Hands in “Finally free: New book details Santa Barbara man’s childhood in Vietnam during and after the war” on 17 April 2015. Catching Shrimp with Bare Hands featured in the Santa Barbara News-Press. Sorry, I neglected to proof read the letter…but I guess you can figure it out…..! I’d be happy to come. This is something I really enjoy doing! I have another event on July 23rd, but I hope we can find another date. My email is on my contact page. Also, I’ll try to call you later. Thanks so much for contacting me.